Nothing Left to Mend chosen as Recommended Read of the Week! Nothing Left to Mend has been named a recommended read of the week! 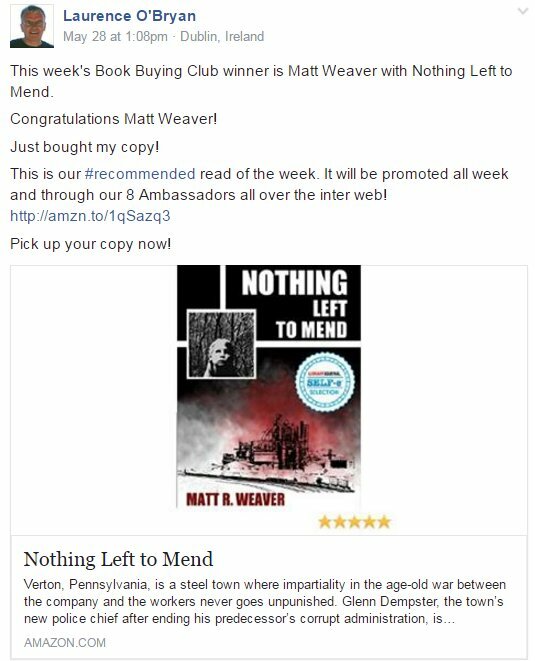 Read more about Nothing Left to Mend chosen as Recommended Read of the Week! Nothing Left to Mend Selected for SELF-e! Nothing Left to Mend has been selected for inclusion in both the state and national collections of SELF-e, a program that makes the works of self-published authors available through libraries. As an indie author and librarian, I am excited to have been chosen. Read more about Nothing Left to Mend Selected for SELF-e! In addition to a writer, I'm a librarian and geek. I have been working on a project that has been bugging me, so in the event someone else is working on public terminals using raspberry pi, I thought I would share what I've come up with.